Why hire a String Quartet for your wedding? 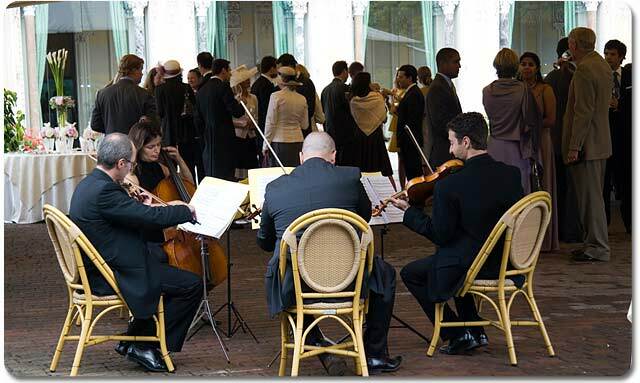 Home » Wedding Music » Why hire a String Quartet for your wedding? The string quartet is the ideal size of ensemble for most events ranging from a handful of guests up to a few hundred or more. The combination of two violins, viola and cello can create a wide range of textures and moods varying from the most subtle and delicate to a full, rich string sound, which carries equally well in small or large halls, outdoors, or in a marquee. A string quartet can add the perfect touch to your wedding day, whether entertain the guests for the drinks reception or playing music for the bride walking down the aisle. A string quartet is completely mobile and requires no power supply. This makes it an ideal choice for a civil ceremony or a summer wedding, where guests may move outside for drinks and back inside for dinner. Some of the most well known pieces you might hear a string quartet play at a wedding or private party are “Canon In D” by Johann Pachelbel, “Air On the G String” by Johann Sebastian Bach, and excerpts from “The Four Seasons” by Antonio Vivaldi. 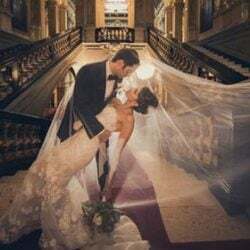 Whether you have chosen to have a Church or Civil wedding ceremony, music is surely the most important factor in creating the perfect classical and romantic atmosphere. Choosing music to suit your wedding day can be a difficult task. The Koiné String Quartet can provide music at any point during your wedding day, whether it be the ceremony itself, the hotel drinks reception in the afternoon, as background music during the wedding meal, or indeed after the meal itself as live music and entertainment. 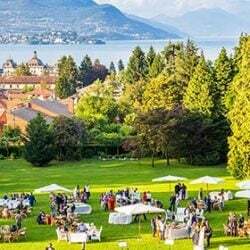 All professional musicians, the Koiné String Quartet is a young and vibrant ensemble based in Piemonte that has been playing for weddings and corporate functions throughout lake Orta, lake Maggiore, lake Como and lake Garda. since 2003. The Koiné String Quartet is made up of young musicians coming from The Symphonic Orchestra of the University of Torino. 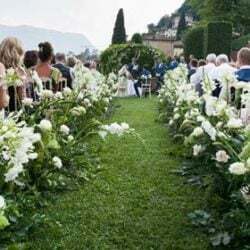 The professional and high-level quartet will play for bridegroom most important day creating the ideal choreography and soundtrack in a atmosphere of sweet harmony and serenity. The Koiné String Quartet is the perfect accompaniment to a wedding celebration, and knowing that each one is unique, the Koiné Quartet offers bespoke wedding music packages to enhance your day. The Koinè String Quartet are experienced musicians for both civil and church ceremonies, and can provide the perfect musical backdrop to drinks receptions and wedding breakfasts. 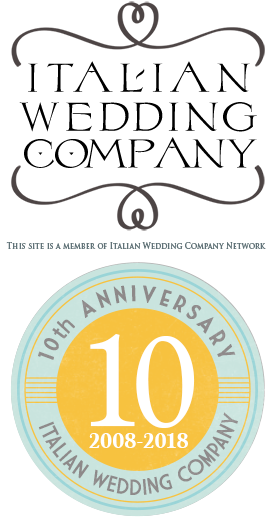 Some of the venues for which the Koiné String Quartet have provided music include: Villa Crespi, Palazzo Penotti Ubertini and http://www.italianlakeswedding.com/blog/lake-orta-weddings/planning-a-cocktail-party-at-villa-gippini/ in Orta San Giulio, Villa del Balbianello, Villa D’Este and Villa Serbelloni in lake Como, Villa Muggia in http://www.italianlakeswedding.com/blog/lake-maggiore-weddings/wedding-in-stresa-the-pearl-of-lake-maggiore/, Villa Rusconi Clerici, Villa Volpi and Hotel Majestic in Pallanza, Dal Pozzo Castle in lake Maggiore, the Town Hall of Torri del Benaco and Castello di Malcesine in lake Garda and numerous other country estates, hotels and churches throughout the Italian Lakes District. To put it simply, a string quartet really adds an amazingly sumptuous ambiance to any occasion, and it is now very popular to have a string quartet at a wedding. It helps to break the silence during something like the photo shoots, and it also helps during the wedding meal/breakfast when the background noise can be quite loud! One Response to Why hire a String Quartet for your wedding? We agree. There’s a wide variety of music written for String Quartets and the ambience this instrumentation creates is elegant and uplifting.